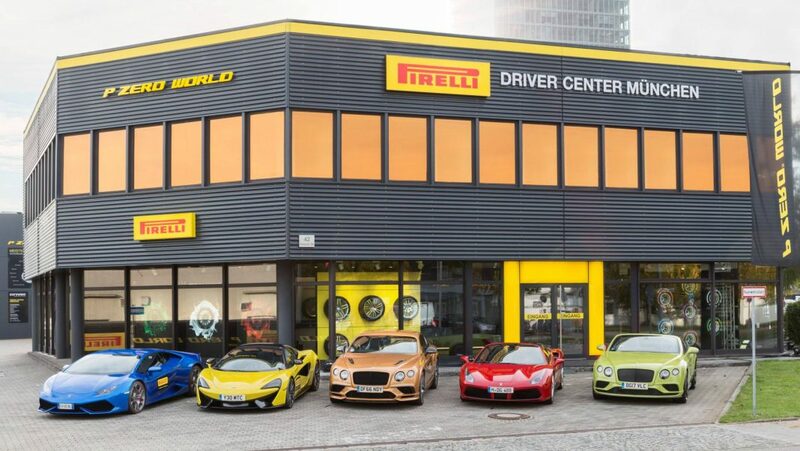 Pirelli has formally its first PZero World showroom in Europe in Munich, at the centrally located Hanauer Strasse 42. After opening the first such showroom in Lose Angeles last year, Pirelli’s plan was to extend the retail footprint to Europe by 2017 and the Munich store has made this a reality. The PZero World in Munich covers an area of about 1,000 square meters. The PZero World is an important component of Pirelli’s “Perfect fit” strategy when it comes to distribution. Through such centers, Pirelli will deal with the development of tyres for single models of luxury car makers and will also cater to customers when they need to change their tyres. The PZero World network will offer everything ranging from Car Valet to Mobile Fitting so that consumers benefit from the highest level of service. Commenting on the PZero World in Germany, Michael Wendt, CEO Pirelli Germany said that PZero World will offer customers a unique combination of high end products in combination with quality service, all in an ambience of elegance and comfort to make it a truly memorable experience for the customer. According to Matteo Battaini, senior vice president marketing and supply chain Pirelli, Pirelli’s distribution strategy is to focus on areas having a high density of Prestige and Premium cars, as these are the segments for which Pirelli is the preferred tyre provider. This distribution strategy is cemented through links with selected customers who have a similar vision when it comes to values and product technology for high end products. Pirelli maintains a network of approximately 12,500 points of sale, and this is expected ot increase to about 17,000 by 2020, mainly through franchising and affiliation. PZero World and its flagship stores, with a network of authorized dealers, will be a key component of this strategy. Battaini added, “The innovative point of sale format was born to serve the most prestigious areas of the world, where consumers can get to know every aspect of the Pirelli brand, from Formula 1 to the Pirelli Calendar, from Pirelli Design to Velo”.